I am reading the book about George Genovese titled “A Scout’s Report. My 70 Years in Baseball”. It is written with Dan Taylor. I had a chance to hear Mr. Genovese at a SABR event a few years back, then a couple a few weeks ago I went to his talk/book signing event at South Pasadena. It was an honor to hear him and his author. Mark Langill presented him. In attendance were Fred Claire who was a member of the Dodgers’ front office for 30 years And John Young who played for the Tigers in 1971 and founded RBI (Reviving Baseball in Inner Cities). These two men along with some other people in the audience were there to pay tribute to Mr. Genovese based on what they had to say when they put their hand up. They did not ask a question, they praised Mr. Genovese. Former All-Star pitcher Fritz Peterson has penned a book providing an inside look at his time with the Yankees. 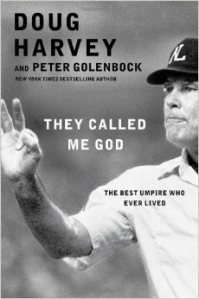 This book is a players inside look at the Horace Clarke Era, a low point in Yankee history when the New York Yankees couldn’t win a pennant despite having one of the best right handed/and left handed pitching combinations in the game of baseball, Mel Stottlemyre and Fritz Peterson. It begins with the day Fritz Peterson entered the Yankee clubhouse in the spring of 1966 and goes through the day he, and 3 teammates were traded to the Cleveland Indians. Some of the characters Fritz met were amazing, from Mickey Mantle down to a minor leaguer named Luke Lamboley. You will learn that the Yankees were a real family during those days, unlike todays business entities who take their own limo’s to the airports for road games. Fritz Peterson will sign and personalize your book. In July of 1911, Charlie Faust walked onto Robison Field in St. Louis before a game where the New York Giants were warming up. He told John McGraw, New York manager, about a fortune teller in Kansas who said Charlie would pitch the Giants to the pennant. He did join the Giants, but not in St. Louis, and not exactly in a normal way. To this day, nobody knows if Faust was a bit crazy, slow in the head, or exactly what. He was the target of many pranks by his team mates, but speaking of him in later years, they all spoke highly of Charlie. There’s not much in baseball these days that isn’t measured, computed, analyzed, collated, compared, studied, crunched and entered into a database. But as analysis has reached an increasingly granular level, one element missing is a big-picture view of why some teams win and some don’t. Mark Armour and Daniel Levitt have addressed that in “In Pursuit of Pennants.” It is both scholarly — featuring charts, graphs and references to WAR — and eminently readable. 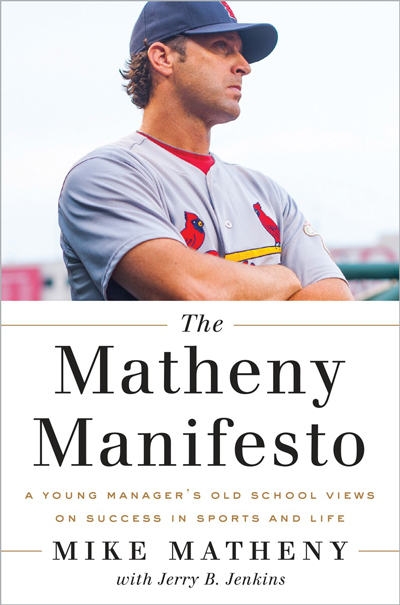 While there is obviously no single foolproof blueprint that guarantees winning the World Series every year, the authors have identified the areas in which successful teams have tended to excel over the last 100-plus years. Major League games these days often include tributes to the military, a fitting way of thanking our service men and women for their sacrifices. Neither should we forget that, during World War II, many star players did more than figuratively tip their caps to the troops. Some of the biggest names of that era gave up significant portions of their careers to serve their country. 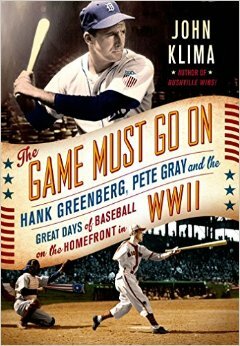 In “The Game Must Go On: Hank Greenberg, Pete Gray and the Great Days of Baseball on the Homefront in WW II,” author John Klima uses broad, omniscient brush strokes to look at the players who departed, the impact on the game they left behind and how it was all interconnected to the ferocious fighting overseas. The Orioles today announced that Hall of Famer Cal Ripken Jr. will visit Ed Smith Stadium on Thursday, March 5 for the Orioles’ 7:05 p.m. game against the Toronto Blue Jays, where he will throw out the ceremonial first pitch and sign copies of his new children’s book, Out At Home, on the lower concourse beginning at 8:00 p.m. 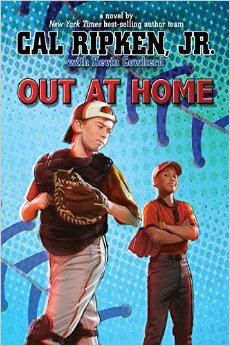 The visit is part of a national book tour for Out At Home, the fifth installment in the New York Times best-selling “Cal Ripken, Jr.’s All-Stars” series. Ripken will autograph the first 300 books, which will be available for purchase at the game for $16.99. Due to time constraints, Ripken will be unable to sign additional items. Tickets for the Orioles-Blue Jays game are available and can be purchased at the Ed Smith Stadium Box Office, via www.orioles.com/spring, or by phone at 877-222-2802.